The local artisan fisherman strongly support the Fish Reef Project and eagerly await our first reef deployment. 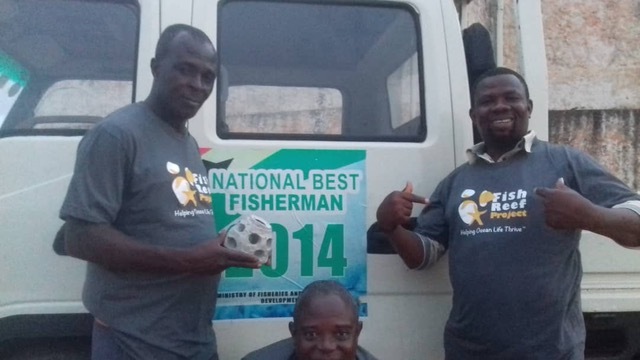 In Elmina, Ghana, Fishermen are pleased to see that fish reefs are coming to their waters next year. 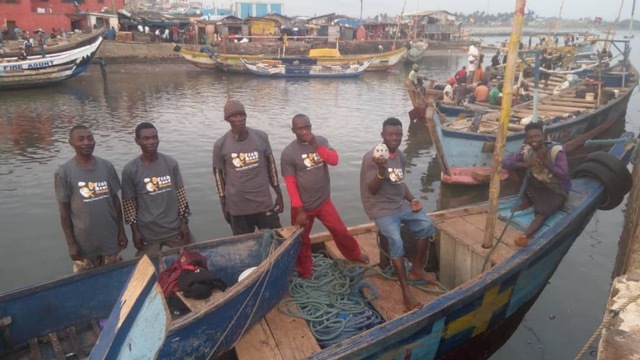 Because of the many thousands of people in Ghana and all of Africa that rely on healthy coastal fish stocks, Fish Reef Project has launched its GREAT AFRICAN FOOD REEF that will reach from Senegal to Angola. In Ghana and other parts of Africa, offshore energy and other ocean uses including deep sea mining, MPAs and military closures are expanding and can pose a risk of user conflicts with fishing. By making vast new fishing grounds we can stimulate the net productivity of the areas left open for fishing and reduce user conflicts, while looking after food and job security. By increasing fish stocks and insuring access to fisheries by local artisanal fishermen we can reduce stresses on land; as to create the same amount of protein on land would require vast amounts of fresh water, slash and burning of the forest, and related Co2 release, feed or fertilizer inputs – none of these harmful effects occur if we keep our fisheries vibrant, alive and open for use- clearly the greener choice. Fish Reef Project will be speaking on this matter at the up coming Blue Economy Forum in Nairobi, Kenya. We will raise awareness that building new fish reefs is the ideal blue economy project for Africa and points beyonds including Papua New Guinea and the Caribbean – new reefs are an ideal way to compensate local communities for resource extraction; and as such Fish Reef Project welcomes contributions from industry and donors at this time to expand our efforts in Africa.